Joe Biden on Tuesday voiced regret for not giving Anita Hill a proper congressional hearing in 1991. In a speech at a New York City event honoring students who have helped combat sexual assault on college campuses, the 76-year-old former vice president acknowledged the role he played in Hill’s hearing. Hill, a lawyer from Oklahoma, alleged in her testimony that Supreme Court Justice Clarence Thomas had sexually harassed her. 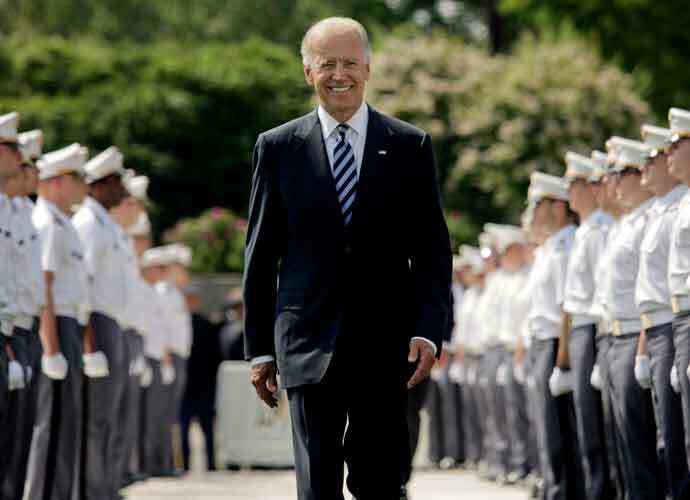 Biden was the chairman of the Senate Judiciary Committee that oversaw the hearing. Biden’s remarks on the issue quickly drew criticism on Twitter for not being a genuine apology and for not explicitly admitting what he could have done differently to give Hill a fair hearing. We all wish he HAD done something. As chairman. Of the committee. That presided. The hearings of Hill and Thomas have regained attention partly due to a similar pair of emotional hearings that occurred late last year. In September, college professor Christine Blasey Ford accused Supreme Court Justice Brett Kavanaugh, then a nominee, of having sexually assaulted her in 1982 when the pair were in high school. Kavanaugh faced allegations of sexual harassment or assault from several other women in the days leading up to his confirmation. This all came nearly a year after the #MeToo movement against sexual misconduct began. Biden, who is speculated to run for president in 2020, could see his role in Hill’s hearing negatively impact his campaign. The former vice president has also been rumored to choose Georgia Democrat Stacey Abrams as his 2020 running mate, although the most recent supports have suggested Abrams may not join that ticket after all.